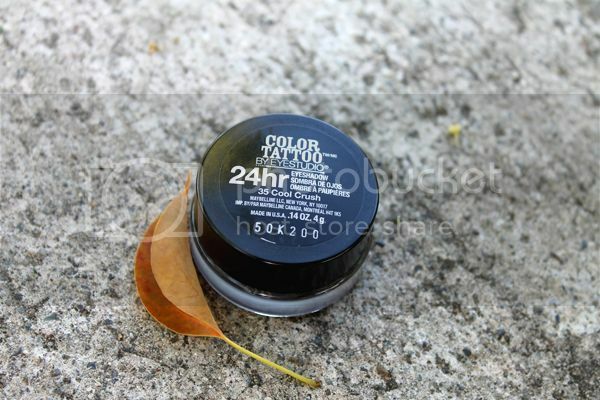 Maybelline's line of color tattoo creme eyeshadows are something I have heard about from basically everyone who talks about makeup on the internet. But I'm not normally so hot on cream eyeshadows. Don't know why, but that's the way it is. ...However, when I saw photos of the summer 2013 limited edition colors over at Nouveau Cheap, I decided maybe it was time to branch out. 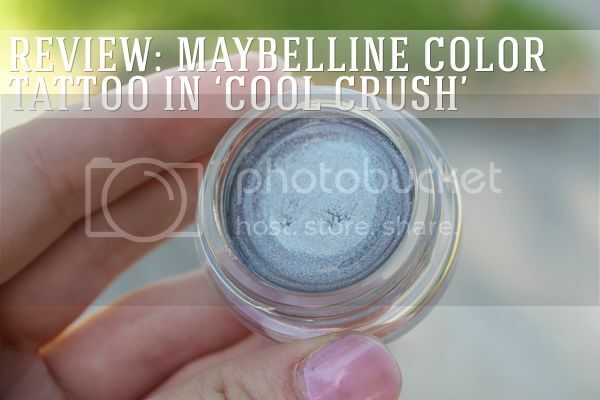 Specifically, for the color "Cool Crush". 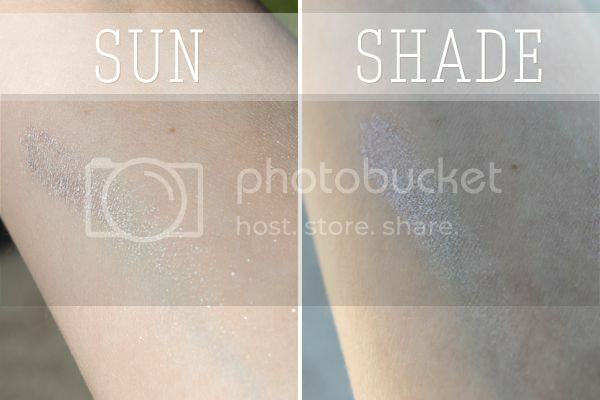 It's a very iridescent cool toned blue-to-purple shade that contains a ton of tiny silver sparkles. If I don't describe things very well, it's because I'm really trying to stretch beyond my comfort zone of "IT'S PRETTY ME LIKE IT." Considering I got the last one of this color at Rite-Aid, it seems like a hot item. Now that I've tried it, I definitely see why. Let me show you photos! As you can see, it looks primarily blue in the light, and more purple in the shade. 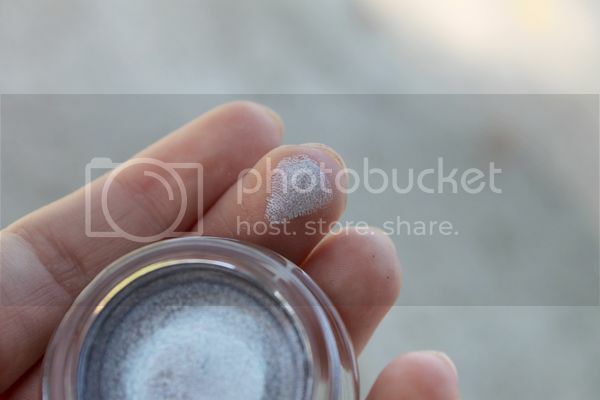 Although it looks very pigmented on my finger, it actually came off very sheer and buildable on my lid. I also felt like it looked more purple on my lid, which is what I was hoping for, too. Isn't it pretty? I'll be the first to admit I kinda feared I would look like a street walker in this, but the way it blends in makes it completely wearable for daytime. 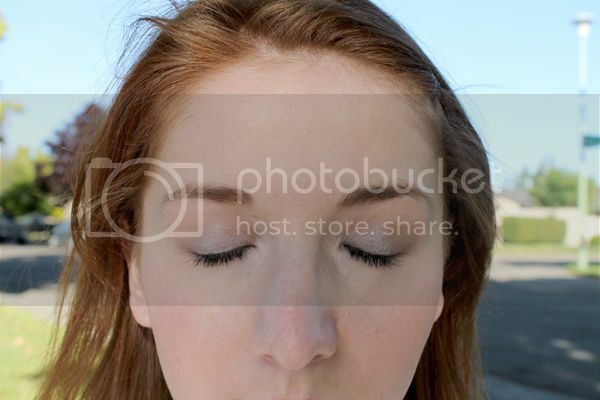 The blue and the shimmer come out where the light hits my lid, but otherwise it's a flattering lavender color. Of course, if you wanted to look a little more ...street chic... it's buildable. 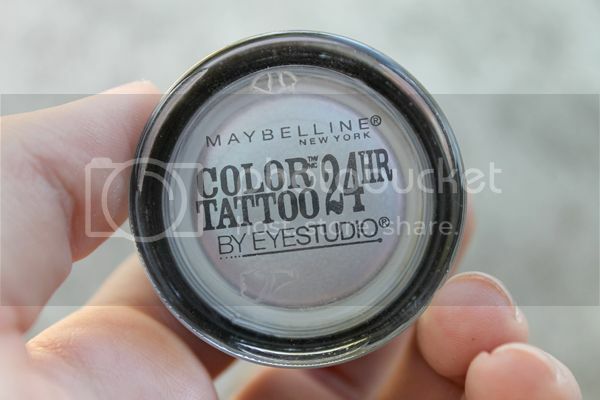 I'm just so happy because I have been without a periwinkle/purple-y eyeshadow for so long and now I finally have one! I haven't seen these at Target yet, but I think they're already in a lot of drugstores. I personally found mine at Rite-Aid for $5.59. Not too shabby.